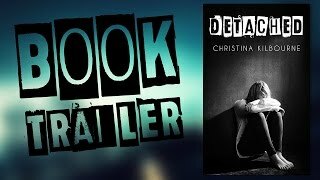 Christina Kilbourne is an award-winning young adult author who handles complex subjects with sensitivity and tact while covering issues of critical significance to youth. Her novel, Dear Jo, was the recipient of three Canadian young reader’s choice awards in British Columbia (Red Cedar), Saskatchewan (Snow Willow) and Manitoba (MYRCA). It was also shortlisted for a young reader’s choice award in New York (New York State Charlotte Award). They Called Me Red was nominated for a Saskatchewan Young Reader’s Choice Award. She is a three-time recipient of an Ontario Arts Council Works in Progress Grant. Christina Kilbourne was born in Southwestern, Ontario, then moved and spent her elementary and high school years in Muskoka, a resort area two hou Christina Kilbourne is an award-winning young adult author who handles complex subjects with sensitivity and tact while covering issues of critical significance to youth. Christina Kilbourne was born in Southwestern, Ontario, then moved and spent her elementary and high school years in Muskoka, a resort area two hours north of Toronto, Canada. She graduated with an Honours BA in English Literature and Anthropology from the University of Western Ontario and completed her Masters degree in Creative Writing and English Literature at the University of Windsor, Ontario. Upon graduating Christina travelled across Africa, Mexico, Central, South America, Australia and parts of the South Pacific. She lived two years in New Zealand. She writes adult, young adult and middle grade fiction and has had her work translated into Slovenian, Portuguese, Ukrainian and Spanish. Christina currently lives with her husband and two children near Bracebridge, Canada. She is a member of the Writer’s Union of Canada. To ask Christina Kilbourne questions, please sign up. Where do you seek and find inspiration when writing a novel? Dear Jo: The Story of Losing Leah ... and Searching for Hope. "I loved this book as a teenager, and it sparked my interest in human trafficking. Absoutely amazing book!" "This book is perfect for anyone with teenagers/ preteens and are worried about internet predators. This is a must read collection of short stories. I so admire Batiz's unflinching exploration of chilling events told with spellbinding prose. We’d love your help. Let us know what’s wrong with this preview of Plaza Requiem by Martha Batiz. We’d love your help. Let us know what’s wrong with this preview of Nightmare Town by Dashiell Hammett.